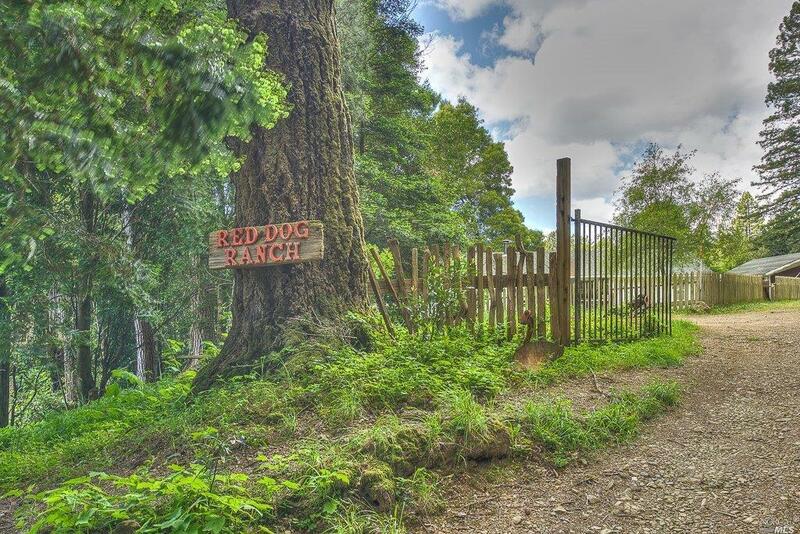 A rare opportunity to own river front property in Gualala...formerly Red Dog Ranch (.com). 30 acres of redwood forest, ponds, creeks, meadows, and artisan springs. Only 2 miles from downtown Gualala. Home overlooks 7 acres of fenced flat, farmable land. This property is truly one-of-a-kind - quiet, peaceful, and plenty of wildlife.